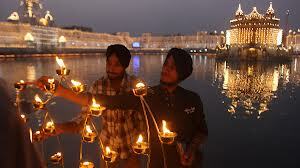 The Pontifical Council for Interreligious Dialogue sends a message to the world's Hindus on the feast of Diwali. At a time of growing materialism, when the deepest spiritual and religious values are despised, a "culture of solidarity" should be fostered, one that "requires a common recognition and promotion of the intrinsic dignity of the human person". Vatican City (AsiaNews) - At a time of growing materialism, when the deepest spiritual and religious values are despised, Christians and Hindus can "work individually and collectively, with all religious traditions and people of good will, to foster and strengthen the human family through friendship and solidarity." Titled Christians and Hindus: fostering human relationships through friendship and solidarity, the message issued by the Pontifical Council for Interreligious Dialogue is meant for the world's Hindu community on the feast of Diwali. 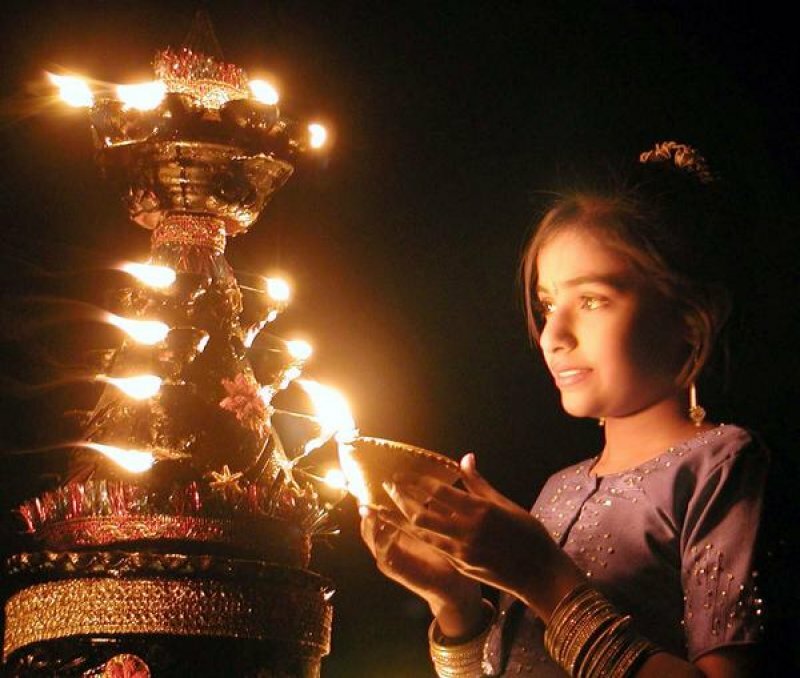 Also known as Deepavali or 'row of oil lamps', the observance is celebrated by all Hindus to symbolise the victory of truth over falsehood, of light over darkness, of life over death, of good over evil. The actual celebration lasts three days, highlighting the beginning of a new year, family reconciliation, especially between brothers and sisters, and divine worship. This year, the event will begin on 3 November. In the message, signed by Card Jean-Louis Tauran and Father Miguel Ángel Ayuso Guixot, respectively president and secretary of the Pontifical Council, we can read, "In this highly competitive world where increasingly individualistic and materialistic tendencies adversely affect human relationships and often create divisions in families and society as a whole, we wish to share our thoughts on how Christians and Hindus can foster human relationships for the good of all humanity through friendship and solidarity." "Relationships are fundamental to human existence. Security and peace in the local, national and international communities are largely determined by the quality of our human interaction. Experience teaches us that, the deeper our human relationships, the more we are able to advance towards cooperation, peace-building, genuine solidarity and harmony. In short, the ability to foster respectful relationships is the measure of authentic human progress and essential for promoting peace and integral development." "Such relationships ought to flow naturally from our shared humanity. Indeed, human relationships are at the heart of human existence and its progress and naturally give rise to a sense of solidarity with others. Regardless of our ethnic, cultural, religious and ideological differences, all of us belong to the one human family." "Sadly, with the increase of materialism in society and a growing disregard for deeper spiritual and religious values, there now exists a dangerous trend to accord the same value to material things as to human relationships, thereby reducing the human person from a 'someone' to a 'something' that can be cast aside at will. Furthermore, individualistic tendencies engender a false sense of security and favour what His Holiness Pope Francis has described as 'a culture of exclusion', 'a throwaway culture' and 'a globalization of indifference'." "The promotion of a 'culture of relationship' and 'a culture of solidarity' is thus imperative for all peoples, and calls for the fostering of relationships based on friendship and mutual respect for the benefit of the entire human family. This requires a common recognition and promotion of the intrinsic dignity of the human person. It is evident then that friendship and solidarity are closely related. In the end, a "culture of solidarity means seeing others not as rivals or statistics, but brothers and sisters" (Pope Francis, Visit to the Community of Varginha (Manguinhos), Rio de Janeiro, 25 July 2013). "Finally, we wish to state our conviction that a culture of solidarity can only be achieved as "the fruit of a concerted effort on the part of all, in service of the common good" (Pope Francis, Meeting with Brazil's Leaders of Society, Rio de Janeiro, 27 July 2013). Sustained by the teachings of our respective religions and aware of the importance of building genuine relationships, may we, Hindus and Christians, work individually and collectively, with all religious traditions and people of good will, to foster and strengthen the human family through friendship and solidarity."